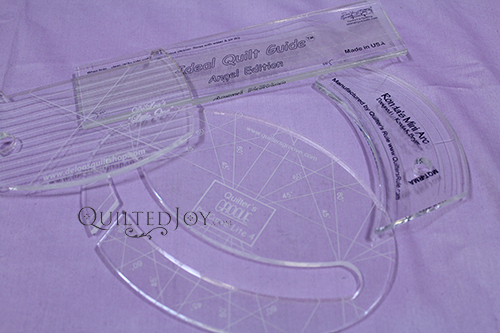 Home / Quilting News / Rule Your Quilts with Rulers! And in case you’re wondering, my current favorite ruler is the Garden Lines ruler by Bethanne Nemesh. It’s the ruler I used when I made my sample for the Quiltmaker article. It has a light turquoise color, and that makes it super easy to see the etched lines on a variety of fabric colors!